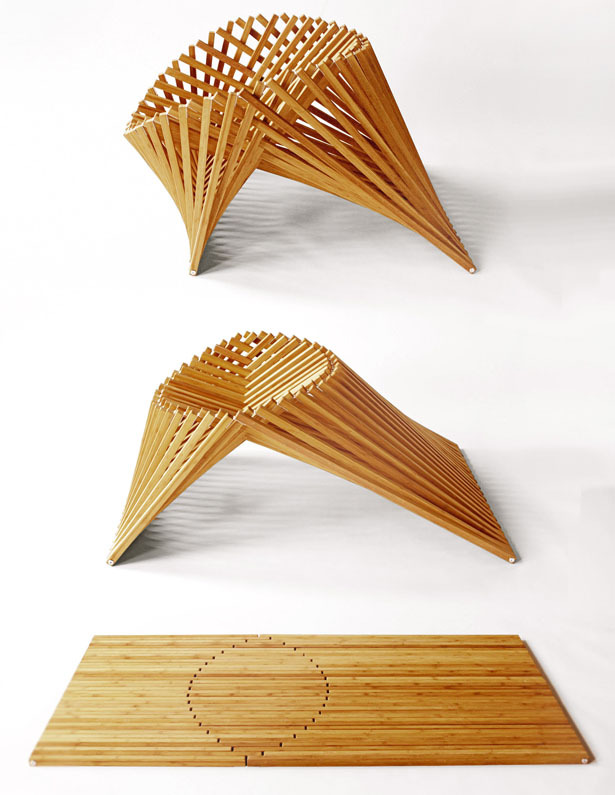 This Interesting looking chair is designed by Robert van Embricqs and can be folded down into something that is just some centimeters thick. Next to that it can be used in several positions. It is made of teak wood with brass hinges. Check out more interesting designs from the same designer here. Oru Kayak: a magnificent foldable kayak.